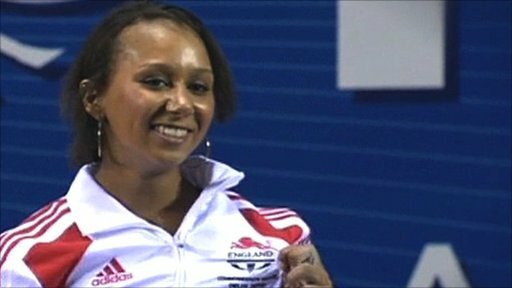 British weightlifting has been awarded host-nation qualification places for the London 2012 Olympics. Up to five competitors, three men and two women, will be able to represent GB next summer. The decision, made by the British Olympic Association (BOA), means each athlete must meet a standard set by British Weight Lifting. BOA chief Andy Hunt said: "We are confident the sport will do its utmost to capitalise on the opportunity." He continued: "British weightlifters have come a long way since 2007, when there were no athletes in the top 10 at the European Championships. "Last year three females and one male athlete finished in the top 10 at the Europeans." The BOA is responsible for granting entry to British athletes who compete as members of Team GB at the Olympic Games. To be eligible for an automatic host place, a weightlifter will have to consistently meet the minimum A standard set by British Weight Lifting. After winning a Commonwealth bronze medal, teenager Zoe Smith will be hoping to capture one of the places up for grabs. 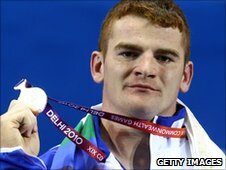 Peter Kirkbride, 2010 Commonwealth silver medalist, said: "It's fantastic news for the sport of weightlifting to be recognised in this way. "We're all training hard to make sure we are the athletes chosen to fill those Olympic places." Weightlifting will take place at the ExCel arena during the 2012 Games.